Using connectors and sockets, electrical circuits can be alternately opened and closed. The connector pins must be correctly oriented in order to prevent the pins from bending during connection. As this cannot always be guaranteed by the mounting process, it is important to inspect the coplanarity and the orientation of the connector pins to one another. In many cases, mechanical sensing devices carry out this task. However, this procedure has its disadvantages. First, the sensing device itself applies a certain force onto the pins, and second, the mechanical parts are subject to wear, which reduces the measurement accuracy and reliability. 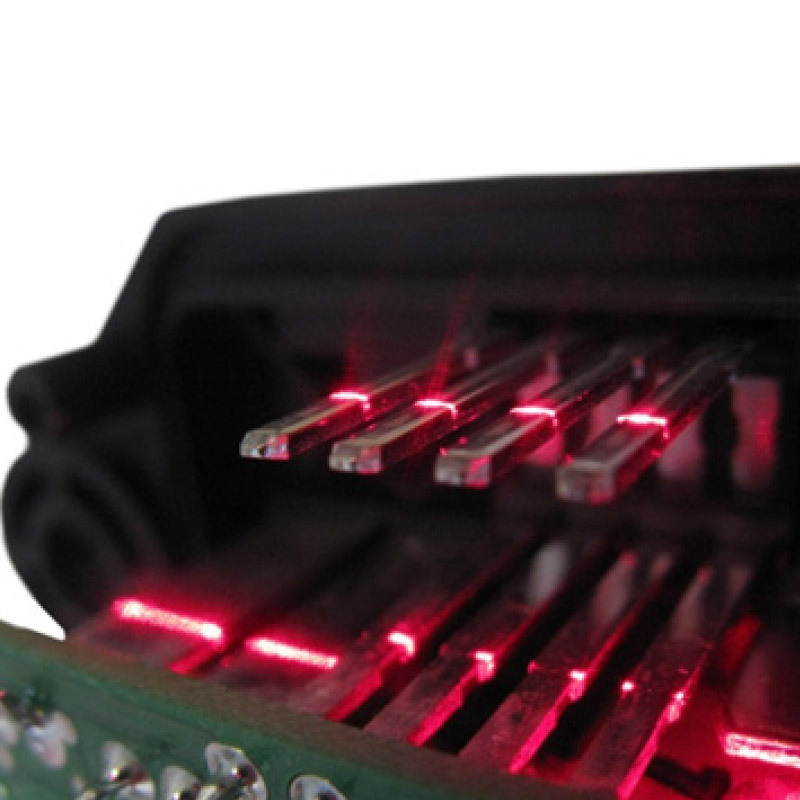 Non-contact scanCONTROL profile sensors measure are wear-free and are applied in a variety of pin inspection tasks.